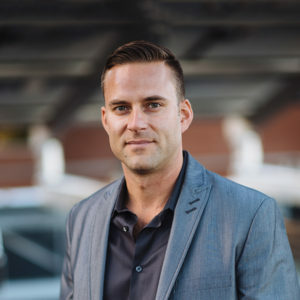 Ian is a third generation real estate broker originally from Spokane, Washington. With 12 years of appraisal experience, he brings in top-notch evaluations and expert market knowledge. Ian is a techie, entrepreneur, industry leader, and a Seattle neighborhood expert. In 2003, Ian became a Certified Residential Appraiser after college obtaining his certification. Then from 2003 to 2011, he was the Chief Appraiser for a small appraisal firm. During that time, he focused on performing highest and best use analysis on vacant land, appraised proposed products for builders and developers, and assisted in the overall pricing strategy. Meeting Dustin in 2011, they have built out a real estate arm to list and sell bankruptcy trustee short sale liquidation sales at a brokerage who was only providing short sale negotiation services. This tripled the gross income for the company. Ian brings modern dynamic business methodologies into an industry that struggles with innovation, change, and technology. He manages a team of eight specialists and uses proprietary software, systems, and data management to create new, viable developer, and investor opportunities within multiple Washington and Oregon marketplaces. Ian currently resides in Green Lake and enjoys the diverse food and the lively music scene in Seattle. You can catch him driving his boat out on Lake Union on sunny days. He is a prideful music-lover and will always have Mana playing on his speakers.